Many teachers I meet who are interested in making the shift to a performance driven instructional repertoire have this idea of a false dichotomy. The all or nothing approach – either we teach grammar or we teach toward performance and proficiency. I can say there are few things in life are that clear-cut. Teaching toward performance and proficiency does not negate the need for grammar instruction. It provides us a cadence to how and when we teach grammar. We need for our students to communicate. If no one can understand them, communication is not possible. Just like if our students lack cultural understanding, they also cannot communicate if they are insulting those with whom they interact, but that is another post. Teaching grammar has a very defined role so long as we honor three basic principles. Grammar instruction is aligned to our targets and be presented within a meaningful context while grammar information is easily accessible so that we best prepare our students to meet or exceed performance targets. Grammar instruction is aligned to our targets. 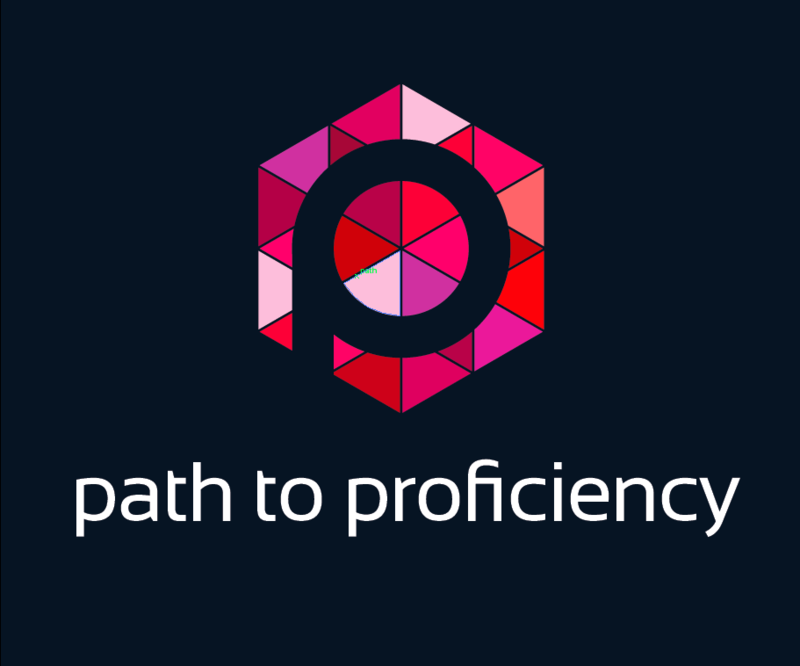 While the World Readiness Standards outline for us what we should teach and how to connect it to the student’s native language and community, it is the Proficiency Guidelines that outline for us the pacing of language functions. Textbooks traditionally introduce past tense at the end of level one of modern language courses. By this point, teachers have introduced, present tense (I run, I eat…), simple future (I’m going to study), and maybe commands. While students may be able to form sentences in using these in discrete practice activities, getting students to applying all of these with ease in spoken and written exchanges in another level of communicative ability. It is the difference of knowing how to form it vs. how and when to apply it. In teaching for proficiency we are looking for the latter. We are looking for how and when students use the language they have learned in the unit or lesson. If we align verb tenses to proficiency levels we would discover that there is a disconnect in how we pace the introduction of the tenses and when application of this information actually happens. In reading the proficiency guidelines we can see that application and control of the past and future tenses occurs at the Intermediate High proficiency level. In my district, Shelby County Schools (TN), our level one performance target is intermediate low. We are looking to get students to perform at the sentence level all the time. By sentences it is important to note that we are looking for students to move beyond the sentence frames we teach. How can they combine these frames or add some reasoning to the sentence? When we shifted our curriculum to focus on targets, we also shifted our vocabulary instruction to focus on meaningful chunks of language. I am not so concerned about how students fill in the blanks of the sentence frames. The benefit is that students naturally function at the sentence level except that those sentences have been taught as linguistic chunks. So looking at how and when we introduce the mechanics of grammar instruction has to be aligned to our targets. We need students to understand the mechanics of forming past tense but we need them to be in a space and place to APPLY it. Students must be afforded the time to apply and manipulate the pieces of grammar instruction they receive because in the end, it is not what they know about the language but rather what they can DO with the language. We teach “I like” as a lexical item – as a chunk. For students to personalize this or manipulate this to go beyond the memorized chunk we need students to personalize that phrase. For example, moving beyond “I like to run” as a chunk to personalizing it to “I like to run because I run with my dog in the park”. This is a completely realistic phrase for our level one students IF they have the grammar to support it. IF they can conjugate the regular verb “run” they can work towards creating an original sentence that goes beyond the memorized chunk they learned in class. I must point out however that teaching students to conjugate the verb ‘run’ is within the context of talking about what they like to do. It is not just teaching students to conjugate for the sake of conjugating. If we followed along with the traditional pacing of grammar instruction or pacing supported by textbooks, we lose sight of our ultimate goal – proficiency. Proficiency is built through sustained performances at a certain level. In other words, students have to practice in expected contexts and experiment with recombinations of learned language in order to one day sustain performance across contexts which yields a proficiency level. Teachers absolutely need resources and textbooks can provide that to us, but we must have clear targets that help us screen and make the best choices of resources. Choices that allow students to progress along the performance continuum by equipping them with tools that advance performance. Grammar instruction is presented within a meaningful context. We can absolutely teach students grammar for the sake of giving them more information. However, more often than not, teaching grammar without a context, is really just a waste of our time. I don’t know about you but time is a precious commodity to me and the older I get the more precious it becomes. If we are to train students to become proficient language users, then we must present language within the strongest context possible. This includes pacing the introduction of explicit grammar instruction so that grammar is introduced to support the communicative context and the performance target. This could mean that initially students are taught first the I and you forms of the verbs because early on that is what students will focus on – talking about themselves. As students get a firm grasp on talking about themselves and demonstrate they are ready to talk about others, add third person and plural forms of the verb. Or introduce it all at once but only hold them accountable to the singular forms of the verbs. If we are to truly embrace backwards design, then first and foremost we have to identify what our target is. The target helps us to identify and clarify what grammar is needed when it is could be best introduced to meet the goal. We want to incrementally build the students’ performance in a manner that sets them up for success. It is our responsibility to pace language and content in a way that builds steadily toward the target. Creating a real world context helps us maintain this balance of teaching toward our target. Focusing instruction and student performances on replicating possible real world communicative exchanges helps to pace grammar instruction. Helping students talk about themselves including biographical information such as “I am from but I live in….” or “ I am … years old”; likes and dislikes “ I like to do or eat or watch or listen to…”; building to talking about their family and what they like to do together; and even talking about their community. Helping students express their opinions and preferences or express a need are skills that are everyday life functions. Communicating in these contexts happens predominately in the present tense. Expressing oneself with ease in the present tense takes time. Moving from single sentences building to paragraph length discourse of interconnected sentences takes time and effort. Introducing advanced grammatical chunks without the mechanics helps to build toward that intermediate high performance level while allowing students time to practice and experiment with the language they have recombining these chunks into novel and new expressions of self. Just like input takes time before we can expect output, the same can be said for explicit grammar instruction. If we create real world contexts that are age and performance level appropriate, we can scaffold and spiral in grammar in a meaningful way that will yield increased student success in growing toward and beyond the targets. Grammar information is easily accessible. As we introduce grammatical concepts it is important that students have easy access to reference this information as they are practicing for performances. One way to do this is creating a grammar wall. Posting reminders about subject adjective agreement may be something you need to post. Simple verb conjugation, once presented can be posted as well. The concepts often are not difficult nor are the mechanics when students are ready for the information. Post it, let them practice it. Exceptions to the rule? Post it. Providing students access to the concepts they should be applying in their performances will be helpful. Out of sight out of mind applies here. Be sure to explain how to use the wall so students can use it as effectively and independently as possible. As we scaffold more and more information and language chunks in the target language we have to be help students keep it all together and not forget pieces. Language learning can be a difficult process if we do not focus on making implicit language understandings explicit. By the time middle or high school students enter into language study, their native language is a complex implicit system in which students must focus on making that implicit learning explicit so it can be replicated and developed in the target language. We are not only seeking to transmit the meaning of each sentence frame or vocabulary term, or grammatical concept, ultimately we are looking to create the mental representations for each of the new stems/terms/grammar systems for our students. Using a grammar wall helps make the grammar explicit, visible and concrete for students. This visual representation of the grammar is critical and needs to be easily accessible for students. The grammar wall also builds in opportunities for differentiation. You can add past tense to your wall even if you have not explicitly taught it. The students who are ready to take the risk of trying advanced grammar to express themselves are able to take those risks but using the wall. It doesn’t take a whole class of direct grammar instruction to empower students to take the risk. Those who are ready will ask or will experiment with the language. To promote comprehensibility and meeting or exceeding the performance targets, make the grammar easily accessible and student friendly. Thank you for this careful clarification. This is the path we have naturally taken in L1, but we’re struggling still with how to map out our levels 2-4/AP. I see that you have a great outline for 1-4 on your website, but see no mention of AP. Is it year 5 in your program? Would you have advice on how to compress 3-4 so that students are mostly ready for AP? We very definitely build to AP after level 4 and then we are offering a year 5 post AP for those wishing to continue. Maybe one day it will evolve into AP Lit but for now it is Level 5. Since AP requires a Syllabus approved by College Board, there is little the district does for those teachers other than facilitate collaboration and help with the development of that syllabus as needed. We “compressed” it by offering level one in middle school – specifically 8th grade. The 8th grade course is an honors course which is application-based. Additionally students must maintain a 76 average both semesters plus pass an EOC AND meet benchmarks on AAPPL. These students then have the ability to complete Level 4 before AP. This year we are piloting level 1 in 7th grade with the same requirements and will then loop those successful 7th graders (they will all succeed bc they are amazing) to level 2 in 8th grade for actual HS credit. They will then advance to level 3 in 9th grade and so forth. It’s important to note that the middle school courses for us do not replace HS graduation requirements, they are merely the opportunity to be better prepared for AP. I definitely think offering a course to 8th grade students would be the best bet to offer additional time. The only other option we have played with is two summers of summer school to replace a level but that was way to confining schedule-wise to make a cohort happen. Hope this helps!